Imagery is so important in social media. I have done a number of tests of posting the same content in similar situations with and without images. Everytime those posts with images far exceed those without in all levels of engagement. 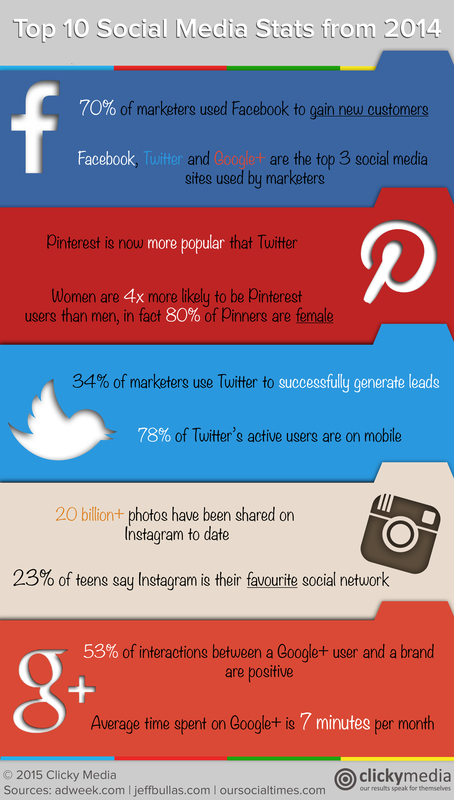 This infographic goes further in attempting to explain why your followers relate more to posts with images. Social media is now part of the mainstream. Rather than seeing it as a threat you need to see it as an opportunity. If you have not already realised it, it is time to do things differently. In your business you may see your people using social sites such as Facebook, Twitter, Instagram and LinkedIn and think they are wasting their time. Rather than a waste of time social media can be a huge opprotunity to turn all your people into evangalists for your organisation. You need to stop focussing on the possible negatives and look for how your people could use their social connections to promote what you do. People trust people on social media. Yes, you have your corporate account, but the relationshiop with individuals is very different and can help build a digital relationship thatmore easily converts beyond the virtual world. If you are still in denial about the benefits of social media. Want more evidence, pick through every follower, question every social media post… you are wasting not only your time but that of your people. By the time you catch up your competion will be way ahead and in a social media world that evolves at an amazing pace you will be left years behind. Rather than worrying if social media is the right thing to do – you should worry about your ability to catch up. 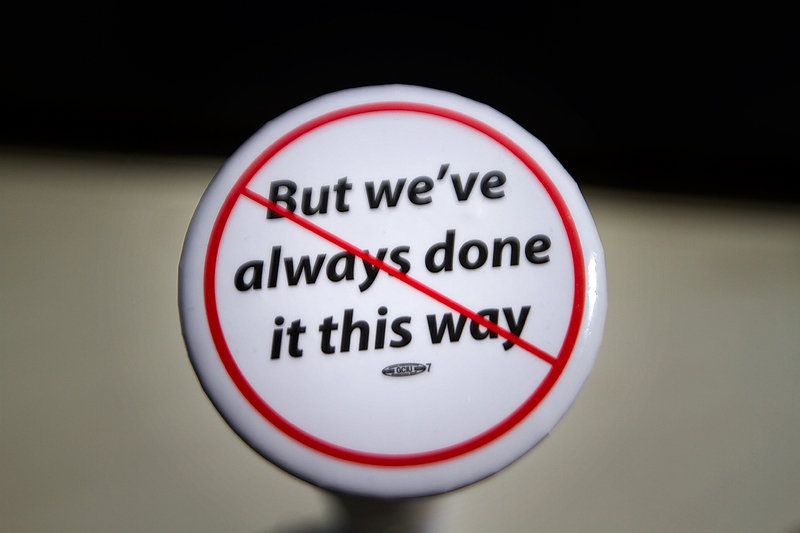 It’s time to do things differently and be ahead of the game rather than years behind. There are many benefits from social media, most are hard to measure and the impact on SEO is certainly one of those difficult to directly attribute the benefits to search engine optimisation. 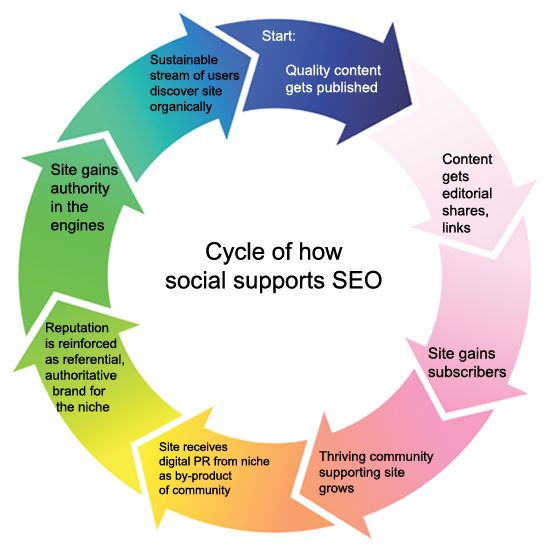 This graphic lays out a view on how social media could be helping your SEO efforts. 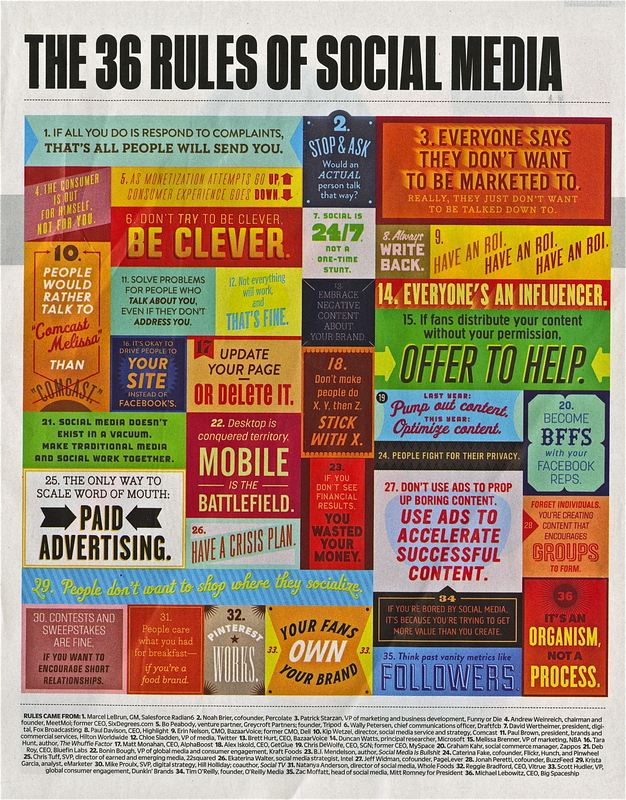 Love this infographic from Fast Company. It’s a couple of years old but still as relevant today as it was when it was created. According to the National Center for Biotechnology Information, the average attention span of a human being has dropped from 12 seconds in 2000 to 8 seconds in 2013–one second less than the attention span of a goldfish. So now more than ever the likelihood of someone sitting through your 15 minute video on how fantatstic your product is – is less than ever. This means you need to be more creative in how you get your messages across. Using imagery is a quick and effective way to capture attention and convey information. This infographic from Widen shows why images are so important, especially in the social media age, and how you can use visual storytelling in your marketing. Brand Republic asked Klout to run the numbers on social media influencers in the UK’s marketing and advertising industry. Klout looked at activity on social accounts (including content posted and reacted to, as well as follower and following accounts, among other things) on 21 July 2015 for the prior 90 days. They focussed on expertise in the following 15 topics: advertising; branding; communications; content marketing; digital media; email marketing; influencer marketing; internet marketing; marketing; mobile advertising; native advertising; online advertising; search advertising; social marketing and social media. The article highlights that my feed spends more time share other peoples content. Of course. 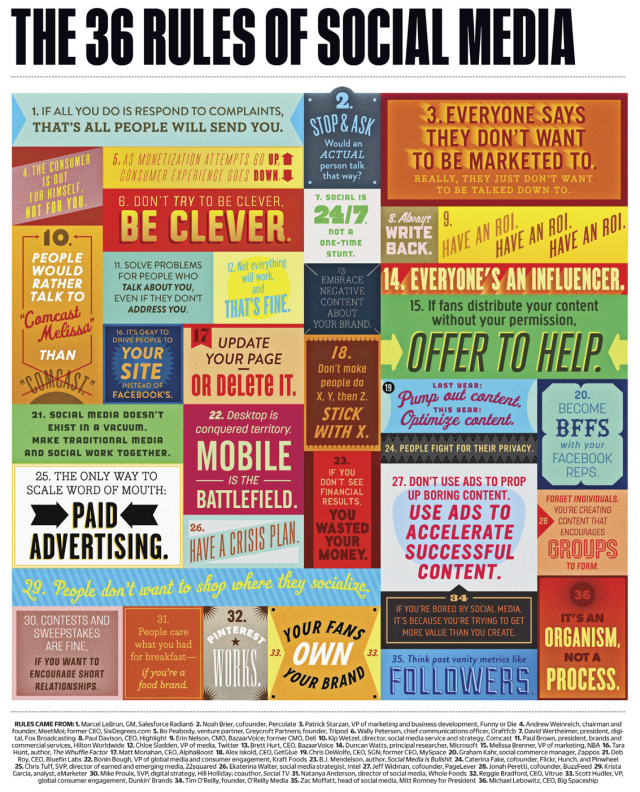 Being an informer rather than a meformer is key to being succesful on social media. With me you are not getting a sales pitch but a direct link to what I discover helping me, and you, ahead of the curb. You can find the rest of the #Top 50 and more information in the Brand Republic article. And thanks to Brand Republic and Klout for including me. Which social network should marketers use? These statistics from 2014 (looks like they are for the US) shows that marketers are increasingly taking social media seriously. Facebook continues to drive a lot of deserved attention – however Twitter is often underestimated given that the influence of Twitter reaches far beyond its 140 characters and the other Twitter users. For instance a majority of journalists monitor Twitter and increasingly their stories are being driven #byTwitter and many Twitter feeds are embedded into websites. Hopefully these stats will help towards persuading the social media denialists its about time they looked again at social.